For the past several years, we’ve moved toward a more secure web by strongly advocating that sites adopt HTTPS encryption. And within the last year, we’ve also helped users understand that HTTP sites are not secure by gradually marking a larger subset of HTTP pages as “not secure”. Beginning in July 2018 with the release of Chrome 68, Chrome will mark all HTTP sites as “not secure”. In Chrome 68, the omnibox will display “Not secure” for all HTTP pages. Chrome is dedicated to making it as easy as possible to set up HTTPS. 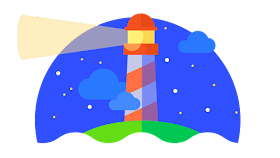 Mixed content audits are now available to help developers migrate their sites to HTTPS in the latest Node CLI version of Lighthouse, an automated tool for improving web pages. The new audit in Lighthouse helps developers find which resources a site loads using HTTP, and which of those are ready to be upgraded to HTTPS simply by changing the subresource reference to the HTTPS version. Lighthouse is an automated developer tool for improving web pages. Chrome’s new interface will help users understand that all HTTP sites are not secure, and continue to move the web towards a secure HTTPS web by default. HTTPS is easier and cheaper than ever before, and it unlocks both performance improvements and powerful new features that are too sensitive for HTTP. Developers, check out our set-up guides to get started. You are welcome to contribute comments, but they should be relevant to the conversation. We reserve the right to remove off-topic remarks in the interest of keeping the conversation focused and engaging. Shameless self-promotion is well, shameless, and will get canned.